CrossFit First Class is a story of five friends, all from different fields of fitness, coming together to open a box in Hannover. 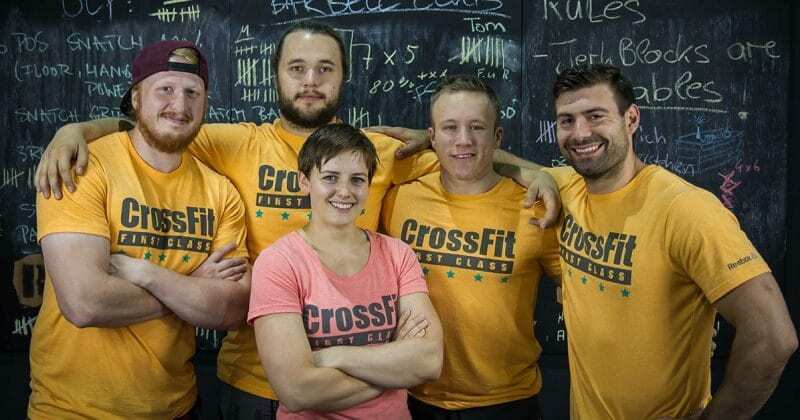 Jennie, Moritz, Florian, Dennis and Jon first met in 2013, and soon after that realized they want to purse Crossfit on a professional level: as coaches and box owners. Each one of us has a different story with the sport of fitness. Florian was already coaching around Hannover in the beginning of 2013. While Moritz migrated from Powerlifting into Crossfit, Jon was looking to improve his performance for his American Football training. Jennie was introduced to Crossfit by a friend und consequently inspired her husband Dennis, who has a background in competitive Gymnastics and Olympic Weightlifting. So we all met in the beginning of 2013 in Hannover’s first CrossFit Box. Soon we realized that we wanted to pursue this sport on a professional level, not only as athletes but also as coaches. 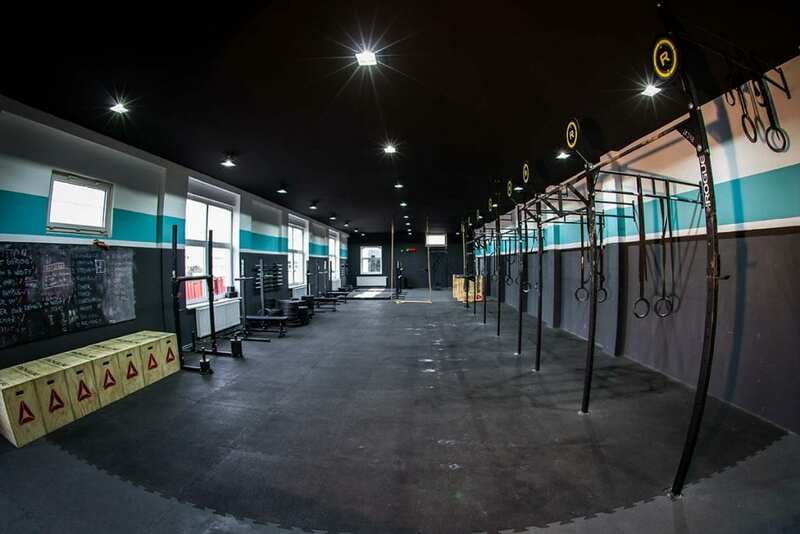 Whilst expanding our knowledge of Crossfit and its methodology, we realized that the work of the existing boxes in Hannover didn’t fit our understanding of the sport. Our ideas about teaching technique, the community aspect of Crossfit, group size in classes and programming in general differed widely from the existing conditions. Since we couldn’t change the other boxes, the logical conclusion was to open our own Box to put our own ideas into practice. It certainly wasn’t easy, but we made a combined effort to realise our dreams. We deliberately chose the name “CrossFit First Class” because we want to set ourselves apart from other boxes in Hannover. We program in a target-oriented way for every level of training and athlete in order to improve everyone’s performance and abilities. Our diverse backgrounds make us unique, because we have wide knowledge and first-hand experience from coaching and competing in Gymnastics, Olympic Weightlifting and Crossfit itself. 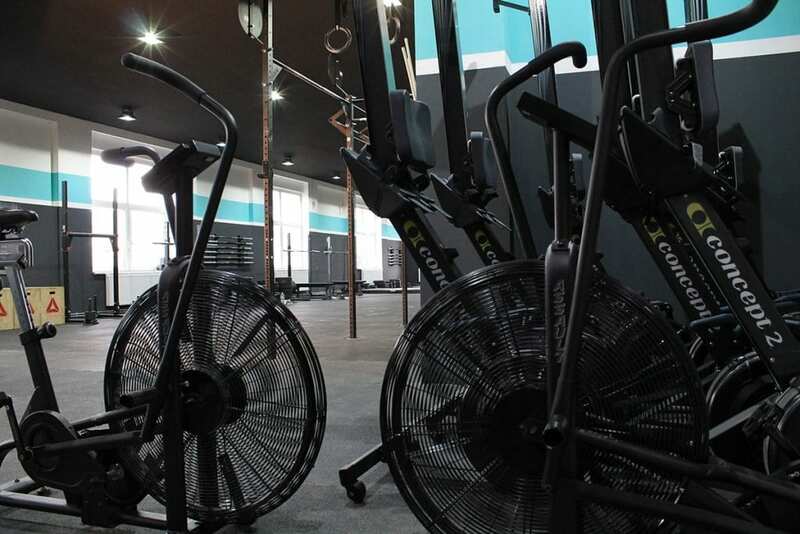 Not only do we teach Crossfit in all its variety, we also put an emphasis on regeneration and preventing injuries through classical Pilates, Yoga and Crossfit-specific mobility classes. We provide our clients with the highest quality equipment by Rogue and Concept 2 to be able to fulfil the Crossfit Games standard. Our signature Box design highlights the features of our facility and emphasises our overall concept. Last but not least, our community and the respectful interaction between members – even before the official opening – and the open communication between owners, coaches and athletes makes us stand out. 80% under 34 years old. Currently our membership figure is slightly below the three-digit mark. About 20 members are following the competitors programming. A few of them in Master and Master+ devision. In addition to the ‘workout of the day’, we offer Yoga, classical Pilates, mobility classes, technique of Olympic Weightlifting, Gymnastics-Specials and our Foundation Courses to make our members better, stronger, healthier and more flexible and supple. At the moment we are outsourcing this part. We have a very experienced and proficient member, who is holding specialized nutrition seminars at our box. At first, beginners run through our Foundation Courses, which can also be booked independently. They consist of 6 units of technique work with a corresponding MetCon. Through the Foundation Courses we want to teach the fundamental movements with progressions and scaling methods and make our new members familiar with the vocabulary and methodology of Crossfit. If you book the Foundation Courses independently, you can take part in two workouts after completing the course. With our box only being a few months old, we haven’t done that yet. But we organized internal try-outs to put together a team for upcoming events and competitions. And since we are growing constantly, we see exciting things coming up in the future. We work very well with a lot of other boxes, for example CrossFit Schmiede and CrossFit Celle. And we are proud to be part of the Reebok Recognized Program and to work with other great boxes in the program, such as CrossFit MyBuddy, CrossFit St. Pauli and CrossFit FRA. Sure, everyone is welcome. For details check our website: www.cffc.eu or contact us at info@cffc.eu.